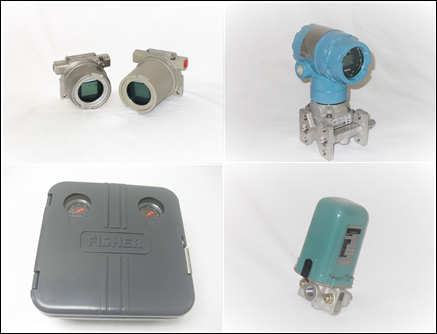 Industrial transmitters are types of electronic devices, which are designed to provide accurate measurements in terms of pressure and temperature. The use of transmitters allows for the monitoring and control of applications, thus ensuring safety, stability, and reliability of processes. As a part of the transducer group, transmitters are designed with additional reset and calibration options. This allows them to adjust the measurement range while ensuring a complete output signal. Analog: This subtype produces an electrical signal, which can be either a current or voltage with a magnitude that can be represented as physical quantity. As the name suggests, analog transmitters utilize analog signal standards for communication purposes. The common standard for an analog signal is 4-20 mA. Digital: Digital transmitters, also known as smart instruments, are designed to send enhanced digital signals to devices. Digital signals comprise distinct values that can be combined to represent different variables. Digital transmitters also have inbuilt microprocessors that allow them to have diagnostic capabilities. Pneumatic: As the name suggests, pneumatic transmitters send out pneumatic signals that correspond to process variables. Pneumatic transmitters are supplied up to 30 PSIG air pressure. This allows it to send output signals up to 15 PSIG. Today, these transmitters are mainly used in remote locations where access to electricity is not always possible. Pneumatic, analog, digital, and transmitters can also be grouped together as transmitter products based on the kind of signals they produce. The above mentioned transmitters are those classified as broad types, and signal production. In the next post, we shall look at the transmitter products used for process instrumentation.